There are portable SNES and NES systems that are very large in size, due to the big cartridges that they cater to. One cool thing about these systems is that they can be turned into a normal console, just add some controllers. You even have the option of connecting them to a TV. 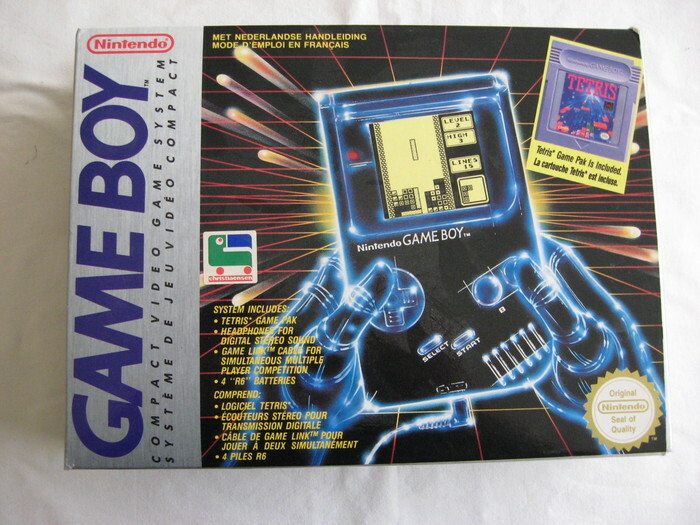 I would like to see a Game Boy that is similar in size to those aforementioned systems, with the same controller and TV functionality. The 5-inch screen alone would be a worthwhile selling point for many gamers. I chose SNES controllers because those ports are smaller, plus I find the SNES controllers to be more comfortable in general. I went with a built-in stand because this system would have a thinner profile compared to those other large portables, so some help was needed to keep it upright. There have been several wireless controllers released for the NES and SNES Classic consoles, and they all feature a dongle that, in my opinion, is a bit too large and unsightly to look at. So I propose a dongle that is concealed inside a NES Zapper. The trigger of the Zapper would be the ‘sync’ button, and an LED light would be in its barrel to indicate power or syncing-in-progress. It would be a smaller Zapper to match the scale of the NES Classic. With the NES Classic being re-released sometime this year (Nintendo: 2 controllers, longer cords, and Ice Hockey this time please), I feel this dongle design would be a hit with collectors. Some companies like 8bitdo sell their wireless dongles separately so people can just swap these in without having to needlessly buy another controller. A R.O.B. the robot wireless dongle could also be made for the NES Classic. I don’t know what could be made for the SNES Classic, the Super Scope was rather silly.